The 'tech advanced small car' helps deliver confidence to new independent drivers thanks to impressive standard-fit safety features and affordable cost of ownership. Bluetooth® with audio streaming, USB port and AUX socket – all fitted from entry-grade – enhance the model's desirability with young drivers. David Motton, editor, FirstCar magazine, commented: "The Nissan Micra is a worthy winner of both the Supermini of the Yearand the New Car of the Yeartitles. We're delighted that Nissan has made big-car safety features like autonomous emergency braking standard on the Micra. What’s more, fuel-efficient engines and low insurance groupings make the Micra affordable to run, even on a tight budget. "The Micra is easy to drive – just what a new driver wants as they build up experience on the roads. There's also lots of scope for drivers to personalise the look and finish of the Micra, inside and out. 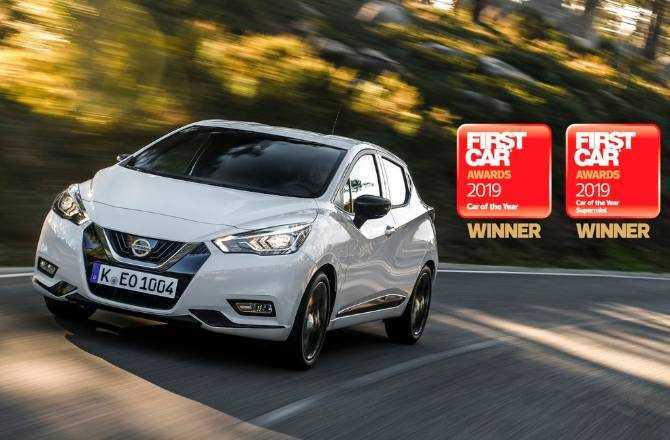 Nic Verneuil, marketing director, Nissan Motor (GB) Ltd added: "We're extremely proud that the Nissan Micra has been recognised as 'New Car of the Year' at the FirstCar awards for the second year in a row. Micra is ideally suited to younger drivers, thanks to its stylish design and features such as the BOSE® Personal Audio system. The advanced driver assistance technologies, which prioritise safety, also help keep insurance costs down. And, thanks to the recent release of the dynamic new N-Sport grade and three brand new efficient and responsive powertrains, there's now 'more Micra' for everyone."